Mohave Valley Elementary School District, in cooperation with the ROCK-It Clubs of Fort Mojave and Camp Mohave Elementary School, the 21st Century Learning Center Grant, and the Arizona Attorney General's Office is pleased to present a class for parents on Internet Safety and Internet Bullying on Thursday, January 19th, at 4:30 in the Fort Mojave Elementary Library. Students will be participating in presentations geared to their individual grade levels during the day, and to complete the learning, the Attorney General's Office has agreed to stay for a parent presentation that afternoon. 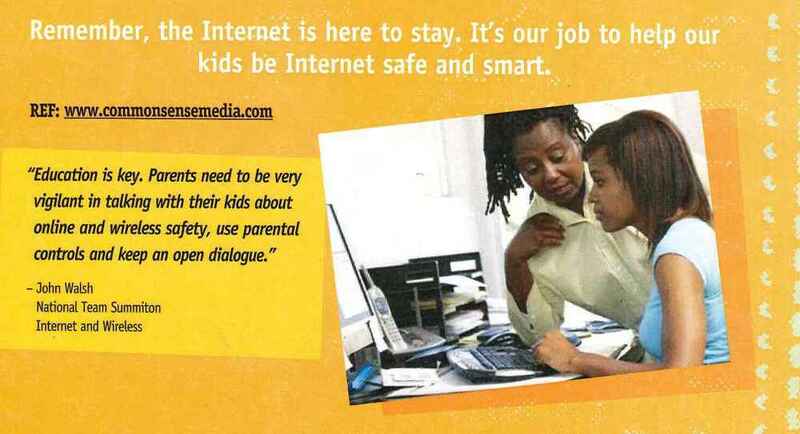 "The facts surrounding internet safety are scary" noted Whitney Crow, Superintendent. "Nearly 72% of teens have a social networking profile, and nearly half of those profiles are visible to the public and viewable by the public, including such things as real age, photos of themselves, phone numbers, their city, school, places they go, etc. Things that make them all too vulnerable to cyber stalkers." This class will give parents the information they need to know to monitor their children's activities to insure they remain safe. Join us Thursday, January 19th at 4:30 p.m. at Fort Mojave Elementary.